The Mahindra KUV100 was launched in India on Friday and comes bearing a price tag that ranges between ₹ 4.42 lakh and Rs 6.76 lakh (ex-showroom, Pune). 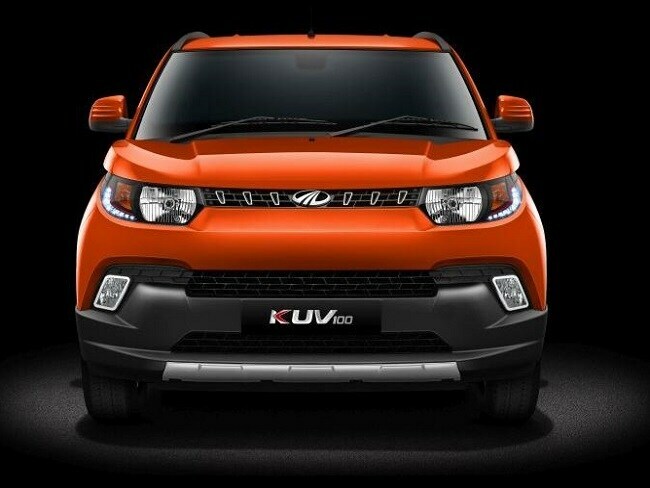 The KUV100 has been one of the most eagerly awaited cars in India and is utility vehicle specialist, Mahindra's, third sub-4 metre offering besides the Quanto and TUV300. 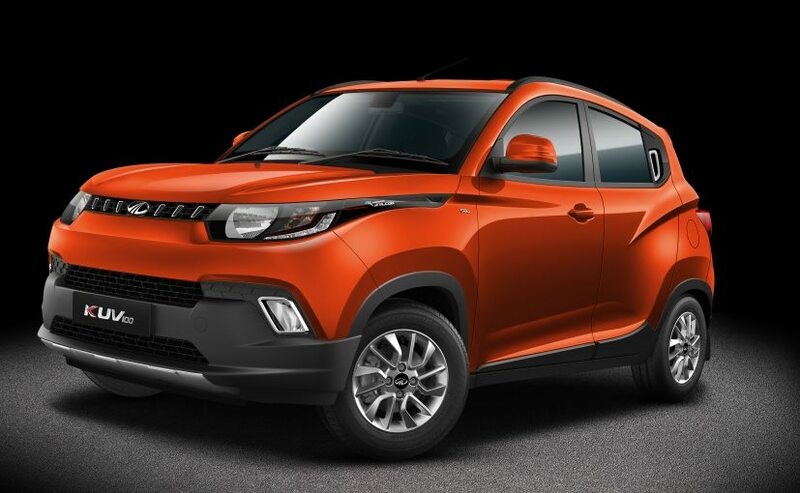 The car has been designed to offer 'peppy low-end performance' both in its diesel and petrol guises, to add to its appeal as an ideal city commuter, and Mahindra claims that once it hits the road, the KUV100 will be 'India's most fuel efficient SUV'. 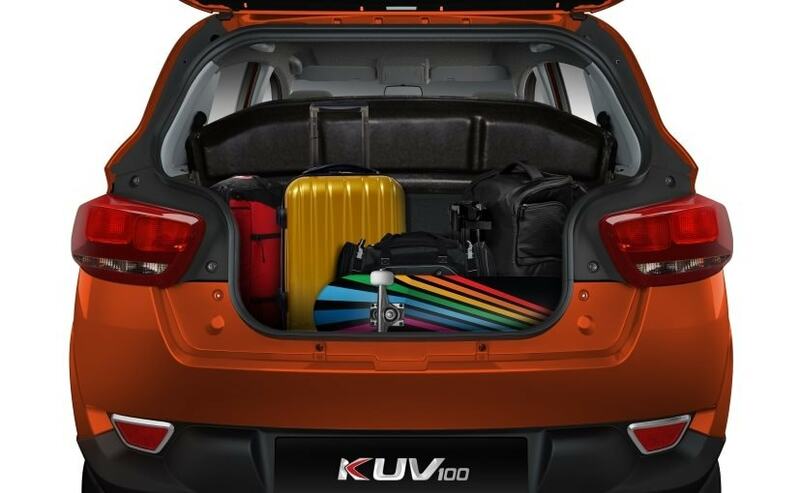 NDTV has announced an exclusive tie-up with Mahindra for the launch of the all-new KUV100 and with it, has formally launched its e-commerce venture, carandbike.com which is the only online auto-portal through which bookings for the KUV100 are currently available. Users can go ahead and book the Mahindra KUV100 on carandbike.com today! Offered in four variants - K2, K4, K6 and top-of-the-line K8, Mahindra KUV100's design is inspired by its larger and more premium sibling; the XUV500. 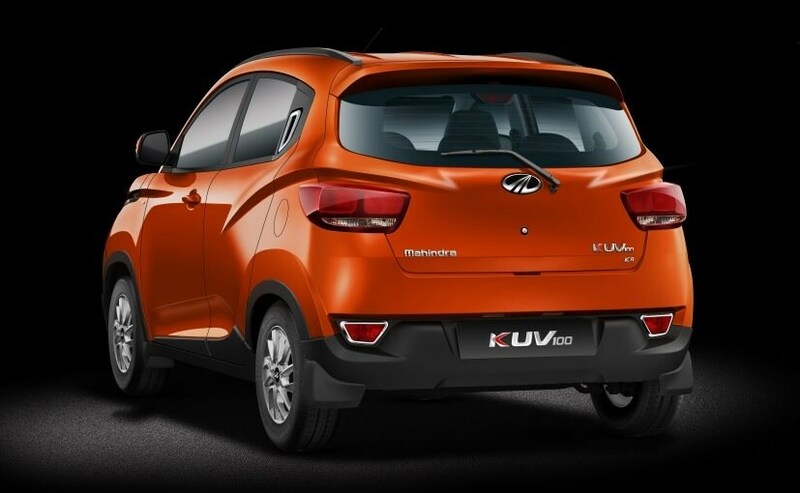 The KUV100 gets a monocoque chassis, much like the XUV500, and also sports similar styling elements such as the beefy front fascia that looks quite aggressive thanks to the its large black plastic-clad front bumper and muscular bonnet that is accentuated by sharp character lines. Furthermore, the Mahindra KUV100 also gets a sleek grille with tooth-like chrome inserts flanked by a pair of uniquely designed head-lamp units with follow-me-home facility and DRLs. Then there's also a pair of chrome-lined LED fog-lamp units, and a two piece air-dam both of which are housed in the front bumper. Mahindra is also offering dual front airbags as an option across its entire variant list, except in the top-end K8 variant that gets them as standard. To increase the KUV100's SUV-like appeal, Mahindra has added features like black plastic under-body cladding, roof rails, large silver skid plate at the front and have given it a tall-boy stance. That being said, these features are purely for aesthetic purposes and have no actual usage, a fact which is clearly evident considering the fact that the Mahindra KUV100 offers a ground clearance of just 170mm. To put things into perspective, the Renault Kwid gets a ground clearance of 180mm, which is 10mm more than that of the KUV100. Mahindra's mini-SUV also dons some sharp character lines on its sides along with 14-inch multi-spoke wheels wrapped with tubeless radial tyres. The rear-end of the Mahindra KUV100 looks quite neat- it comes with a rear spoiler, a pair of wrap-around tail-lamps and reflectors. Interestingly, the KUV100 is also the first in its segment to offer dual rear fog-lamps. Inside, the Mahindra KUV100 is offered with two seating configurations - a standard 5-seat layout and a unique 6-seater plan that has been achieved by using bench seats in both the front and the rear. The fabric seats look quite nice but seemingly lack thigh support. To offer additional space in the front row for an extra seat, Mahindra has infused the gear lever with the dashboard, while the pull-type handbrake lever is located at the base of the centre console. 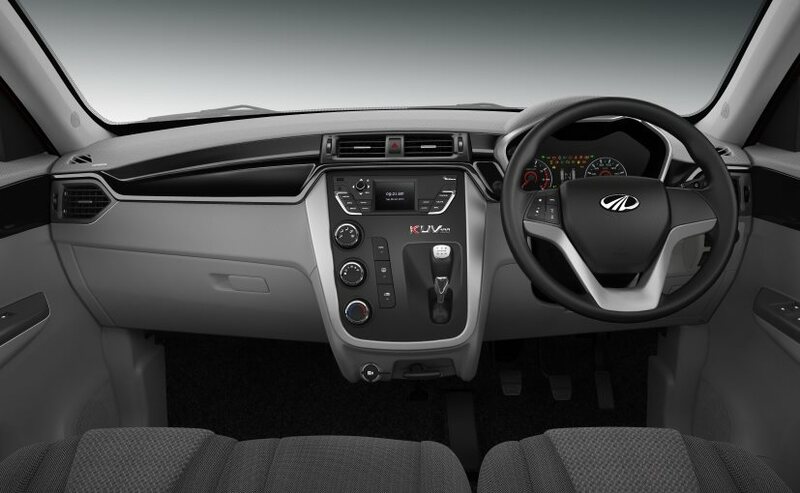 As far as features go, the Mahindra KUV100 gets an infotainment system with a 3.5" display screen, in-built driver information system, Bluetooth audio & Hands-free call, USB, AUX, steering-mounted controls, 4 speakers and 2 tweeters, Mahindra Blue Sense App compatibility, tilt adjustable three-spoke steering wheel, and height adjustable driver's seat among others. The Mahindra KUV100 also gets a cup holder on both front and rear arm rest, and additional storage space at the foot of the rear seat and under the front bench seats. In terms of safety, it will get ABS, EBD, and an engine immobilizer as standard provisions, along with the optional dual airbags. Under the hood, the Mahindra KUV100 will be powered by an all-new range of petrol and diesel engines, the mFalcon series. The petrol engine, mFalcon G80, Mahindra's first ground-up engine, is a 1.2-litre unit that churns out 82bhp and develops 114Nm of peak torque. The new 1.2-litre oil burner, mFalcon D75, is a turbocharged common-rail diesel engine that puts out 77bhp along with a peak torque of 190Nm. Both engines will come mated to a 5-speed manual gearbox. Interestingly, the carmaker currently has no plans to introduce an automatic transmission. Mahindra KUV100's mileage is rated at 25.32Km/l and 18.15Km/l for diesel and petrol, respectively. The Mahindra KUV100 also comes equipped with the company's Hybrid technology with engine start/stop feature and two driving modes - Power and Eco. Disclosure: NDTV's carandbike.com is a partner for Mahindra & Mahindra Ltd.